The first feeding child fruit purees. The first fruit puree is recommended to take the Apple, because it does not cause allergies and bowel problems. Applesauce for kids can be done at home, will be much more useful and better baby food, which is sold in stores. Before how to make applesauce, you need to decide on the variety of apples. Better to take home the apples if they are sweet. In the store try to take varieties of apples yellow, for example, the Perry. Apple sauce for kids no added sugar, so it is important that the apples were not sour. Remove the core from each Apple and divide into small slices. Peel the apples is optional. If you have filled apples 3 liters saucepan, pour 1 Cup of water. During cooking, water need not be added, because the apples will give the juice and fluids will be enough. From time to time, stir the apples in the pan. Cook them until soft. Instead of a sieve can be wiped with the Apple mixture through a colander. The end result is a light Apple sauce, and the peel will remain on the surface of the sieve. Long boil is not necessary, just bring to boil applesauce for children to keep useful properties of this fruit. Banks should be no more than 0,5 liter because after opening the puree should be eaten during the day. 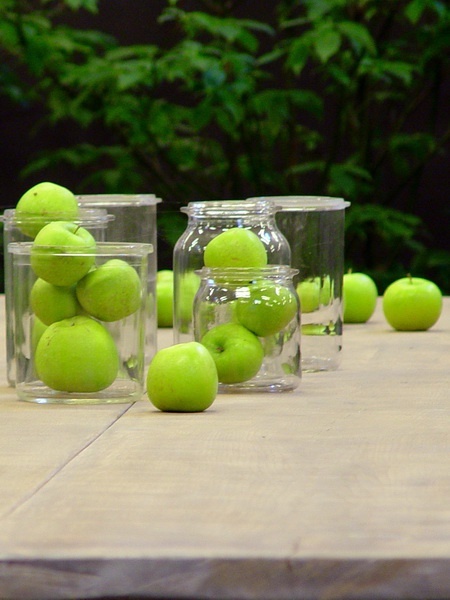 To sterilize jars, wash them thoroughly, place in a large pot and cover with water so she closed them. Will boil jars 15 minutes. You can put nylon between the banks cover to the banks when boiling wasn't. Take the metal cover and boil them in a separate container. To store baby applesauce is possible at room temperature, and you will always have on hand warm baby food. Do not put jars with puree into the sunlight, not to destroy vitamin C, so useful for the kids in the fall and spring.